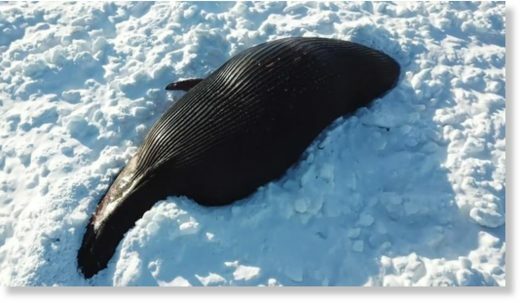 Residents say this much ice is unusual, but it’s unclear if it contributed to the whale’s demise It’s not uncommon to see whales near Fischells beach in Bay St. George, but the latest sighting has been unusual. The whale has been dead for weeks, according to people who live in the area. Its body is trapped in ice; half in, half out of the water. “We never had ice like this in a good few years,” said Brian King of Jeffries, a ten-minute drive from Fischells beach. King used a drone to capture close-up images of the whale, which he said was about three and a half kilometres from the shore. King said he first heard about the whale a few weeks ago, and so he believes it’s been dead for some time. He said he waited for a calm, clear day to take video.